A recent article in the Omaha World Herald addressed the growing trend of single sport specialization, particularly among young athletes. We asked Curtis Basnett, a physical therapist in our Midtown Clinic, to weigh in on the issue. 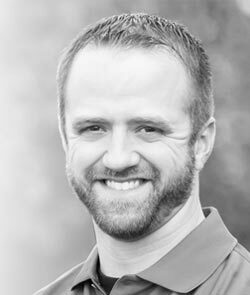 Curtis has a background in athletic training and sees many patients with athletic injuries. “With Fall sports getting underway, this article was very timely, and accurately addresses an issue that we are seeing more and more of. Young athletes are under an increasing amount of pressure to focus on one sport, and practice and train year round. There is a misconception that you need to hit 10,000 hours of training in order to excel in a sport, and as a result, we are seeing a lot of sports-related injuries, and in younger and younger athletes. Research supports that single sport specialization can not only lead to injuries, but burnout as well. Many athletes play a sport for their school during the season, and then return to their club team almost immediately after the season ends. For an athlete whose team was successful in the post season and advanced to districts, regionals or state tournaments, that can mean little to no rest. In the article, Dr. Moffat recommends 3 one-month breaks, and many athletes and coaches think that is too long. I encourage athletes to take the recommended time away from the primary sport, but make it an active rest break. Do other activities that maintain your strength and conditioning, but the mental and physical separation from the sport has many benefits. You can build muscle during this time, but give your body time to recover from injuries or strains. One of the biggest risks I see is athletes who overlook nagging injuries because they don’t have time to take a break in play. What may begin as knee pain from jumping can cause compensation, which can result in hip pain and a difference in walking. What began as a localized problem develops into a more serious situation. There is a misconception that physical therapy needs to be a long-term commitment, with several hours of therapy, which is not always the case. It is best to address an issue right away, and oftentimes a physical therapist can coach an athlete on proper movements or strengthening exercises to remedy the problem and avoid a more serious situation. Take time off between seasons. Take a break for a few weeks, even if it is an active rest. Try something different, such as exercise in the pool instead of the court – the mental and physical break from your primary sport will be very beneficial. Recognize when your body has recurring issues. Before it gets out of hand, see a physical therapist or athletic trainer. Play multiple sports. You can get really good at one thing by doing other things, and being a well-rounded athlete makes you a stronger athlete. As issues come up, ask yourself – am I hurt, or am I injured? If that answer is more than being a little sore or banged up, you should not be playing and you need to take a break! Don’t be afraid to visit a physical therapist – we can get you safely back on the court or the field and ready for game day!